Wax begonias are one of the most commonly grown begonias in the outdoor home garden due to their great heat tolerance as opposed to many other more delicate species. Add wax begonias to your home landscape, particularly if you have areas that offer immense sunlight or if your region is known for its warmer temperatures. Wax begonias (Begonia x semperflorens-cultorum) are hardy annuals with great heat tolerance that display green, mahogany or bronze foliage, according to the Clemson University Extension. Small flowers bloom continuously during summer in hues of pink, rose, white or red. 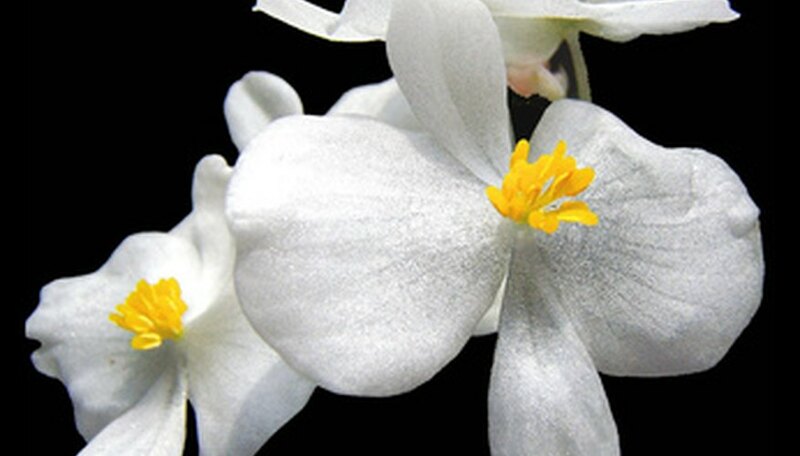 Grow wax begonias in areas that offer full sun. Though they tolerate heat, sun and drought, wax begonias will thrive in partial shade and favor moist, well-drained soil high in fertility. Wax begonias are injured by frost, so wait to grow or transplant them outdoors until after frost has passed, according to the Clemson University Extension. The wax begonia cultivar known specifically for its tolerance to heat as well as rain is Prelude series. This option displays vivid green leaves. The most widely planted cultivars are from the Cocktail series, displaying bronze foliage and a height of up to 8 inches. All wax begonias are tolerant to heat. Wax begonias take on a bush-like habit and are well-suited for use in sunny and warm climates and gardening spaces. Plant in flower beds or in mass plantings. Allow for 6 to 8 inches of spacing between wax begonias. These flowers are suitable for growth in containers. Avoid planting under heavy cover that creates excessive shade. Heat tolerance of wax begonias is not an immediate characteristic. The healthier your begonias are, the better heat resistance they exhibit. Provide consistent care and establish your wax begonias before July, according to the Texas AgriLife Extension Service, for optimal heat tolerance. Additionally, varieties with bronze foliage display better tolerance to heat than those with green foliage.